Now that the FDA has ditched the food pyramid, you’ve been giving a lot of thought to your food groups. And you’ve decided you’re going with the Italians on this one: pizza, beer and wine. Those are your food groups. So take a look at Urbano Pizza Bar, a rustic new spot from the owners of Library Bar next door, set to debut as early as this Friday. It looks sort of like the classiest woodshed you never ate pizza in: walls of reclaimed wood, shelves of canned goods and old chairs salvaged from a grade school. 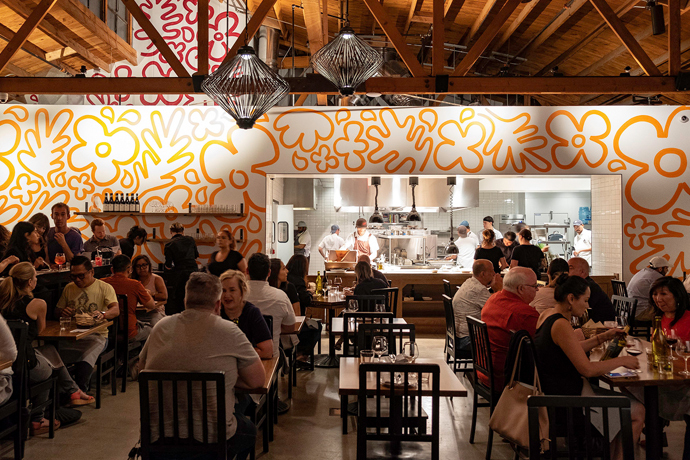 But behind that bar they’ve got a pair of dueling ovens burning fragrant almond wood to crank out crisp, thin-crust pizzas topped with seasonal vegetables and fresh meats—the kind of duel where everybody wins. They’ll be open for lunch during the week, if you’ve just got time for a quick pie on the patio. But really, you should come in with your friends when work’s done, the sun’s going down and you’ve got time to explore the exclusively Italian wines and beers on tap. Yes, they’ve got some big-name Italian beers, but they’ve also got some Birra del Borgo Re Ale Extra, a hoppy amber ale. You rarely trust an Italian beer with fewer than six words in its name.